We receive calls from many people throughout the San Francisco Bay Area who have poor soil. It happens enough that we thought people might be interested to know more about the process of rebuilding. Water tends to pool on the surface, then drains very slowly or runs off the surface. Much of the above symptoms are due to a lack of organic matter. Look at the color of your soil. It will be dark if it has enough humus. Humus is the foundation of healthy soil and is formed by decomposition of plants, leaves or animal matter and provides nutrients for plants. Tree service mulch is free, attractive and provides organic matter. It is made from the branches and brush which are run through a grinding machine and chipped into small wood chips. This will gradually break down and add nutrients to the soil helping it to hold more water, reverse compaction, slow erosion and reduce weed growth. Purchase it or make it with kitchen scraps and yard trimmings. Avoid meat, eggs or dairy. Apply compost with the least disturbance, on top of soil. 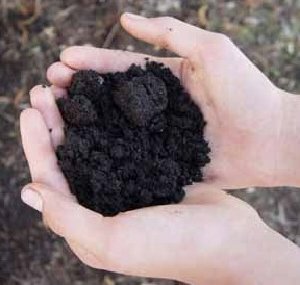 The compost will improve soil structure and increase its ability to hold moisture. odorless and have the appearance of coffee grounds. They impart a slow release of nutrients to the soil, increase its water holding capacity and immunity to disease. It’s a liquid microbial inoculant which provides essential nutrients to the soil. It is rich in plant extracts and sea kelp. Compost tea also reduces germination time, promotes vigorous growth and increase drought resistance. It can be sprayed directly on plants or on soil. 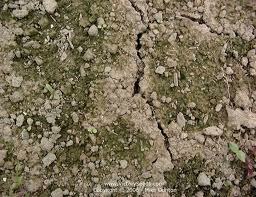 Every time soil is disturbed through digging or excessive foot traffic it damages the delicate soil structure. This limits a plant’s roots access to nutrients, air and water. Synthetic fertilizers will help keep plants green and blooming but only a small percentage is actually used by the plants. They can leach from the soil into ground water. They feed the plant, not soil and the nutrients are insufficient over the long term. If you keep up this practice you will start noticing that your plants look healthier and have more vitality. Should You Replace or Rejuvenate Your Plants?